Over the first three months of 2018, the vehicle loans consumer default index (CDI) hit its highest level yet, according to the latest Experian CDI. The 3.55% CDI level for vehicle loans defaults was even higher than the overall Experian CDI. While there was a month-on-month (m/m) and year-on-year (y/y) deterioration in the vehicle finance category, the latest CDI shows a y/y improvement in personal loans, credit cards and home loans. The overall CDI actually showed an improvement in first-time credit defaults from 3.52% in March 2017 to 3.24% in March 2018. According to the index report, this means R12.4bn in value rolled into default for the first time across credit card, personal, vehicle and home loans over the period from January to March 2018. The Experian CDI measures rolling default behaviour of South Africa consumers with home loan, vehicle loan, personal loan and credit card accounts. When a lender deems the statement balance of a consumer account to be uncollectible due to it being in arrears by 90 or more days or statuses such as repossession, foreclosure, charge-off or write-off, the consumer account is regarded as being in default. The Experian CDI tracks the marginal default rate. It measures the sum of accounts that have never had defaulted balances before as a percentage of the total sum of balances outstanding. The CDI is published on a monthly basis, with a two-month lag. The category of middle-aged, educated families with a mid to high income, residing in suburbs around industrial and mining areas and with the largest credit exposure, showed a CDI of 2.67% in March 2018 compared to 3% in March 2017. The category called "secured affluence" – mature, well educated, wealthy couples living in free-standing, high-value established homes in city suburbs – was the best performing segment. 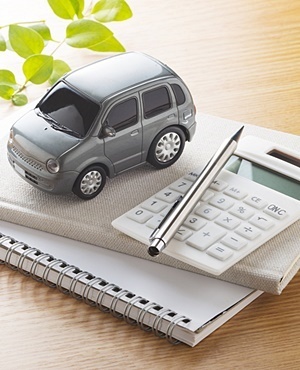 In this segment the vehicle loan CDI was 2.47% in March 2018 compared to 2.04% in March 2017. The category called "minimum wage rural" – representing mixed-age families on minimum wages, living in small informal dwellings in the rural area of the Northern Cape and the Free State – was the worst performing segment for vehicle loans. The CDI level for vehicle loans for this category was 7.54% in March 2018 compared to 6% in March 2017; and 10.28% for credit cards in March 2018 compared to 8.03% in March 2017.